In the early 1980s Haim Steinbach visited the homes of several acquaintances, colleagues, and friends to make a series of photographs inspired by a shelf in his childhood home that displayed various knickknacks. Selecting from his friends' belongings, he made studied arrangements and then photographed the tableaux. The resulting images are like portraits of the owners' objects and demonstrate the descriptive power of the items we acquire or are given. 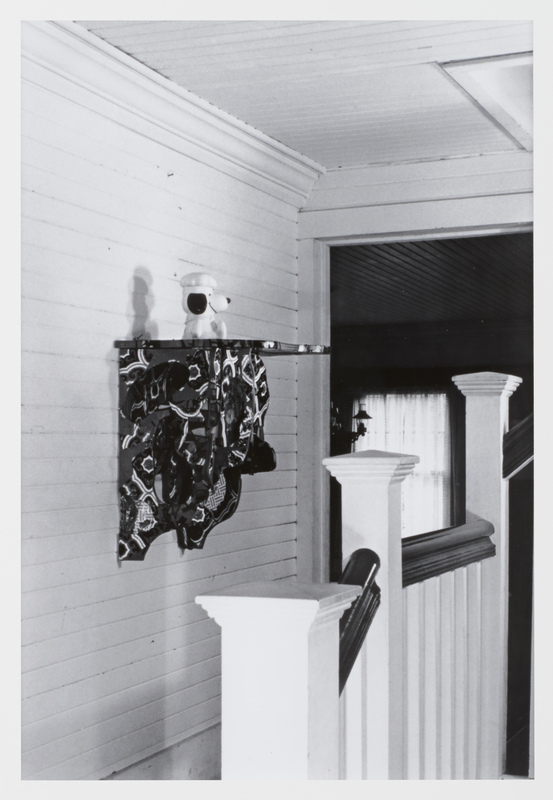 "Shelf Arrangement for the Wachtel's Stairway, Hampton Bays, New York." Take It or Leave It: Institution, Image, Ideology Digital Archive. Los Angeles: Hammer Museum, 2017. https://​hammer.ucla.edu/​take-it-or-leave-it/​art/​shelf-arrangement-for-the-wachtels-stairway-hampton-bays-new-york/​.